Over the winter holidays I went up to Maine for a wedding. 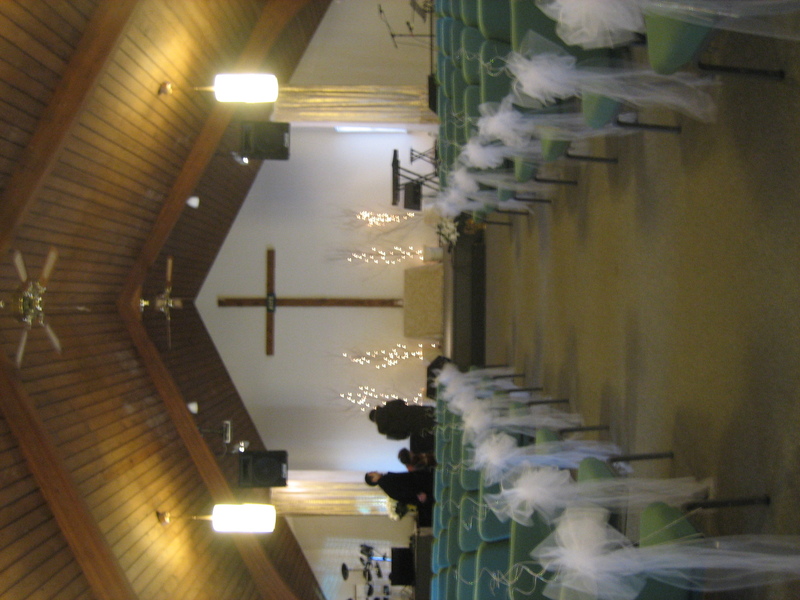 With a limited budget and creative ingenuity they put together a very DIY wedding! 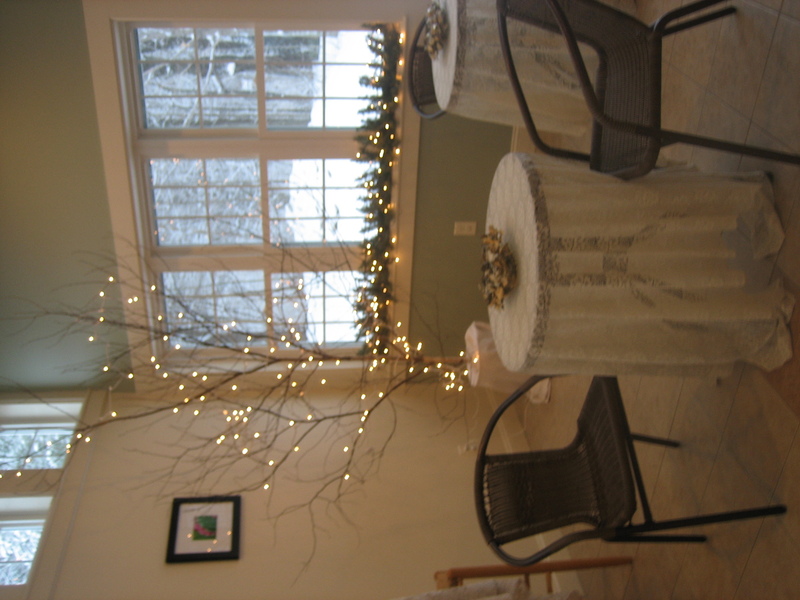 It being the winter time and thus making fresh flowers hard to come by or expensive, they played up the winter theme by using Christmas lights and pine leaves garlands for decorations. 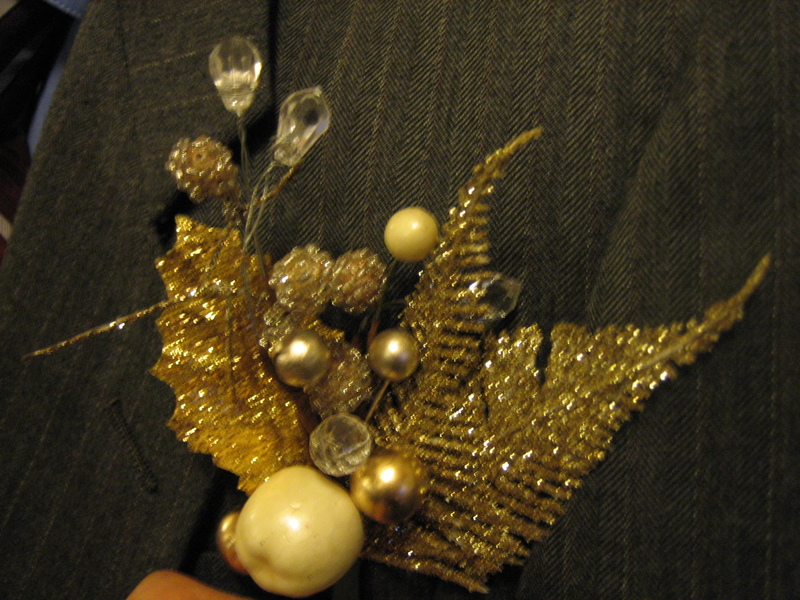 They also took apart pieces of Christmas decorations and made their own boutonnieres! 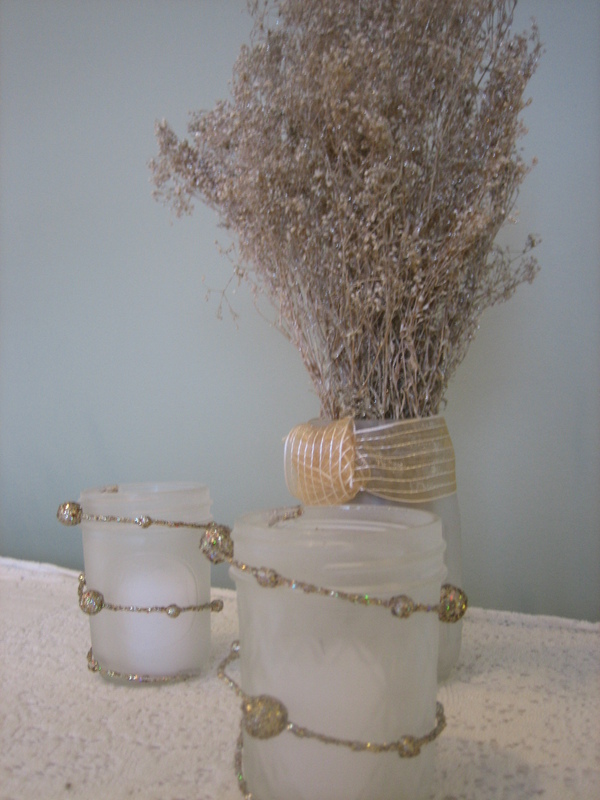 Table centerpieces were made using rustic preserves jars, a votive candle, and again a simple strand of golden decorations and ribbon they bought from after Christmas sales.